Miss Smith is delighted with her new Year 6 class! 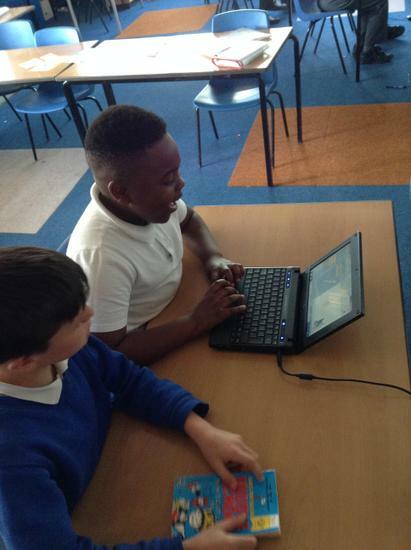 They have already shown that they are friendly, enthusiastic and keen to learn. In the first week of term we have not yet started our full curriculum but have been learning about each other by writing news reports about the Summer holidays and making colourful 'crossword' pictures using adjectives to describe our personalities. 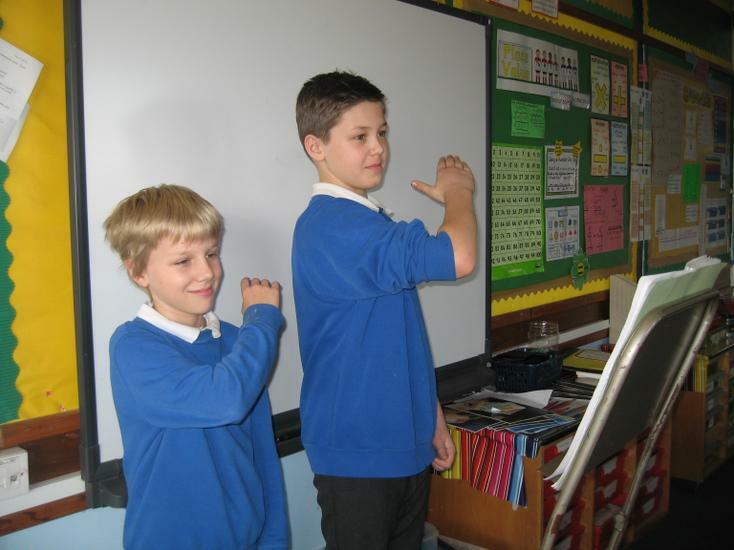 As the oldest children in the school, Year 6 are taking their responsibilities as role models very seriously. They have thought about how to (hopefully) earn their Truly Trusted badges in the coming weeks, have made posters about the school rules and have hosted Playleader training with Year 6 children from Middlefield and Roundhouse. Finally the class researched the value of our new school 20 minute walk, interviewed a range of people in school and then, together, wrote an informative newsletter to go home to all the parents. A brilliant start to Year 6. Well done everyone! 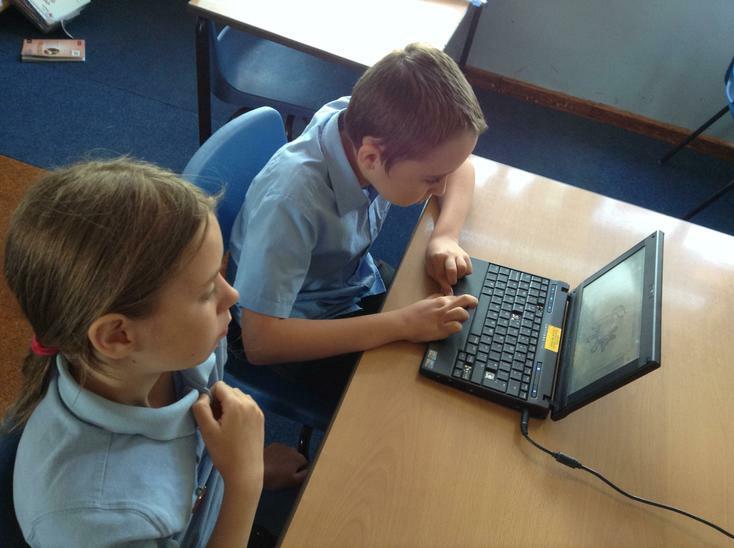 In the first half of the term, year 6 worked very hard towards their SATs. 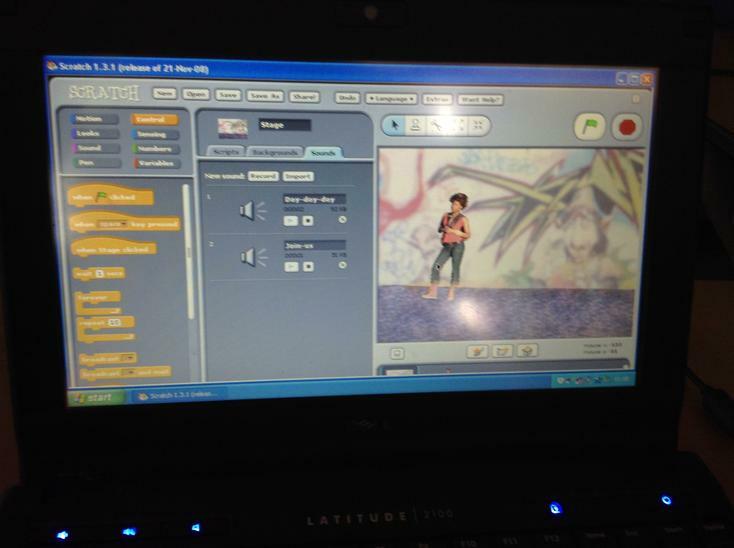 They have also been enjoying art, computing, swimming and cricket. 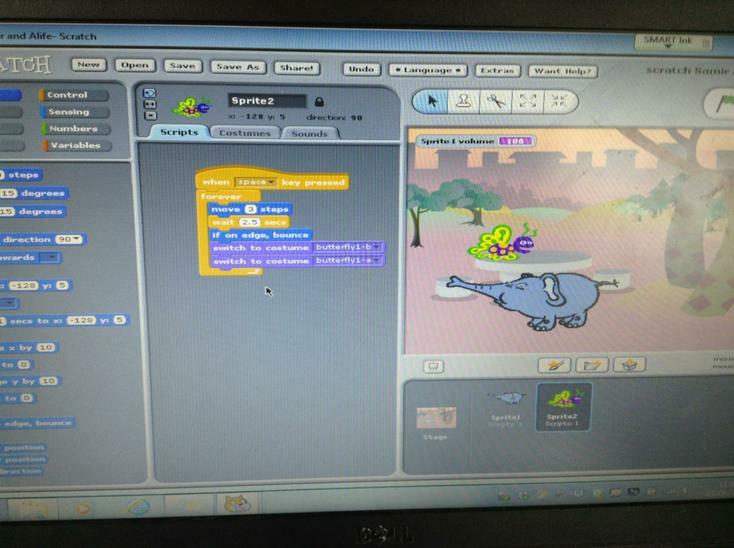 In computing, the children have been learning new vocabulary, such as algorithm and debug. 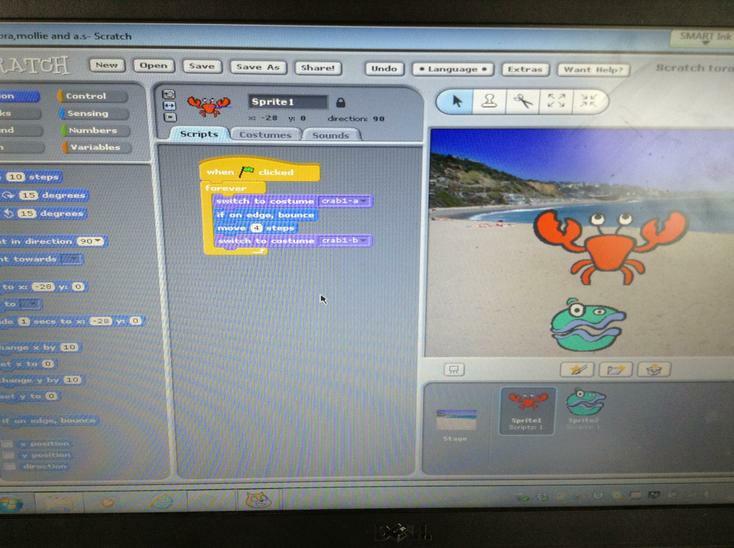 Using Bee-Bots and Scratch, they have create programmes and animations. 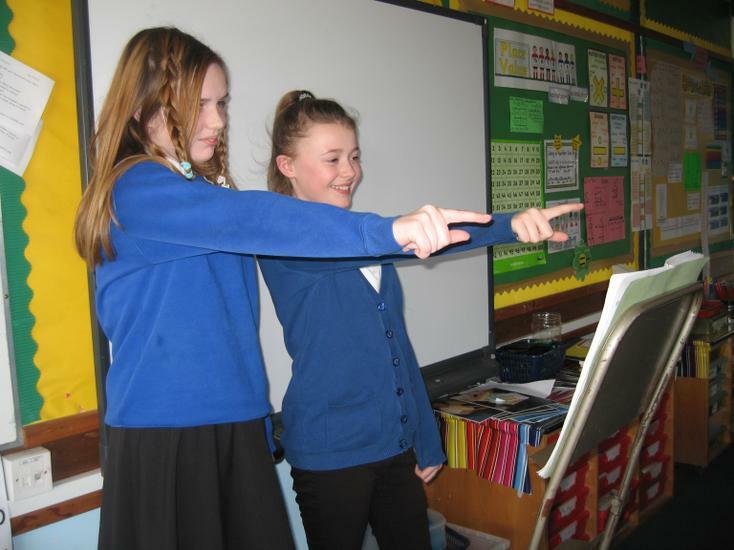 We have written a persuasive speech and presented them orally. We watched examples and learned about the importance of clarity, gesture and variation in tone of voice. We selected and researched important global issues to write about, including pollution, deforestation and global warming. In maths, we have been revising efficient written methods for the four operations and practising skills needed for mental maths. 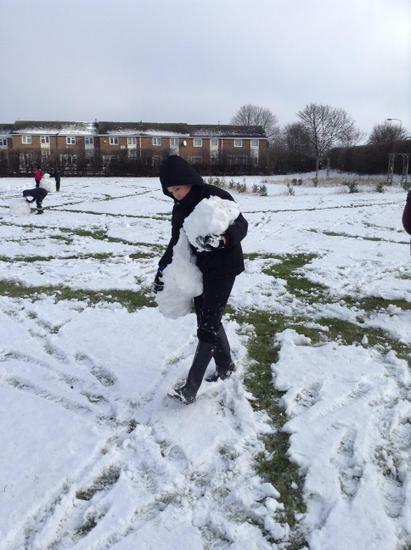 Some groups have also been learning to calculate the difference between positive and negative temperatures. 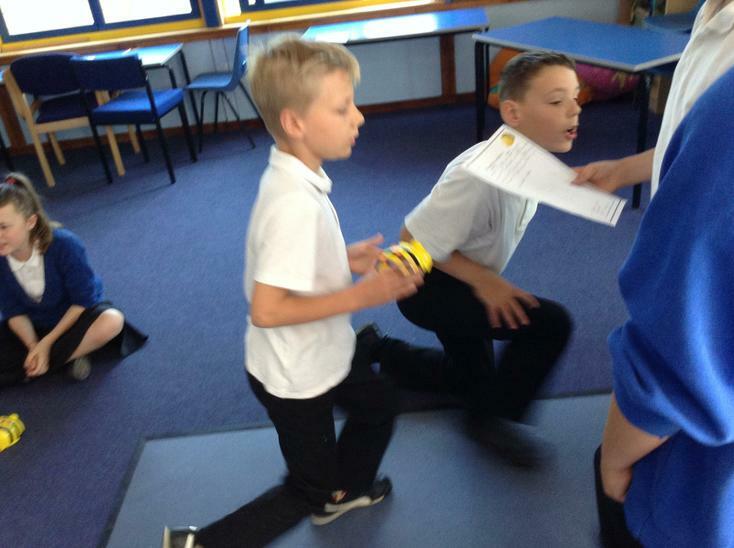 Playleader training with Year 6 children from Middlefield. 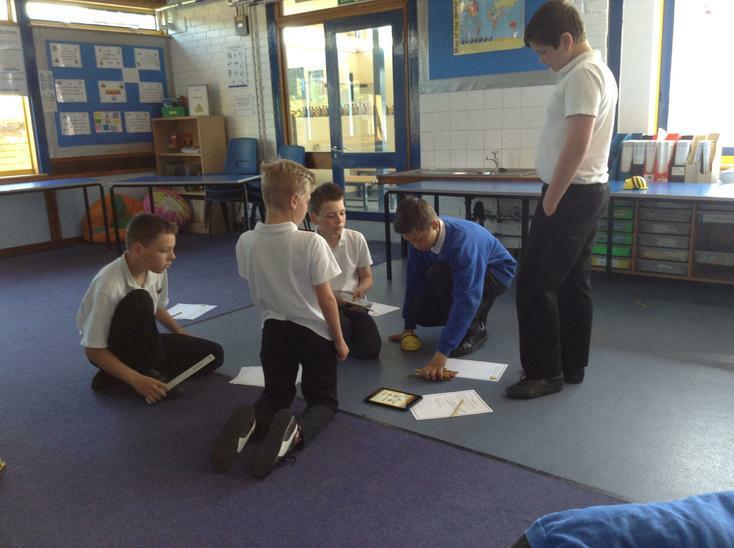 In groups all children are now able to plan and implement a range of lunchtime games and activities to encourage good social and friendship skills among the younger children. 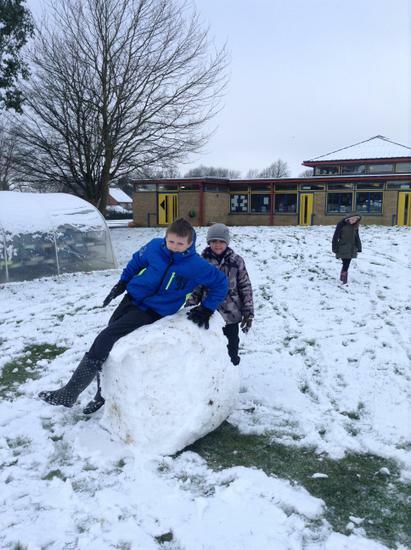 Year 6 aim to make sure that everyone has a fun and happy playtime. Watch out for the yellow playleader hats! Visit by GenR8. This group always make eveyone think about difficult issues in an accessible and fun way. 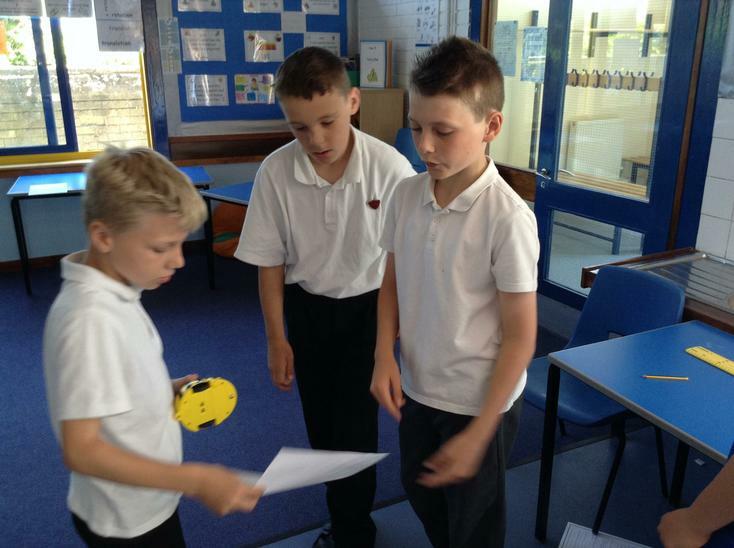 This time they helped us to think about growing up and how to make 'Cool Choices'. Using the garden and outdoor environment to look for signs of Autumn. This inspired some beautiful art work. Visit to St Neots Museum. In small groups we looked around the whole museum and learnt lots of information about the history of the town from prehistoric times until the present day. The three favourite exhibits were the cells of the former police station, the reconstruction of WW1 trenches and the enormous banner about James Toller, the Eynesbury giant. We have now completed the first two weeks of the full curriculum timetable and have been working extremely hard in the core and foundation subjects. Year 6 are big Michael Morpurgo fans and are reading a book called ‘Listen to the Moon’. Miss Smith entered a competition in the Summer and won a signed copy for the class weeks in advance of its publication date. The book is set in the Scilly Isles in WW1 and is proving to be very intriguing. Mrs Wright’s Literacy group have been reading ‘There's a Boy in the Girls Bathroom’ by Louis Sacher. Through writing in role, the children have been developing an understanding of how the main characters change their behaviours and the challenges they face. Miss Smith’s Literacy group have been inspired by a film called ‘The Piano’ by Aidan Gibbons to write emotive and powerful short stories with flashbacks to engage the reader. My name is Harold Jones and I am nearly ninety-seven years old. I live alone in an empty mansion with my beloved piano and my treasured memories. Me and my memories meet every time I play my wife’s favourite song in peace. I love running my fingers along the piano keys, in a dark room. This is Joshua's own story containing a flashback. “I’m doing it now,” I say. Wow! This morning's achievement assembly was really, really long because Mrs Mitchell gave out so many Truly Trusted badges to members of Year 6. This means that these children can be 100% relied upon to be good role models for everyone in our school. They always work to the best of their ability, they complete all their homework, they wear correct uniform and are mature, polite, respectful. The names of the head girl (Kira) and head boy (Denny) were also announced, plus their deputies, the four house captains and vice house captains and also the two Year 6 lead school council representatives. We are all very proud of you! Year 6 love sport and, in addition to PE lessons, are keen to attend after school clubs such as gymnastics and tag rugby. a report about the Christmas Truce of 1914. Week commencing 23rd June - Year 6 are busy rehearsing their production of 'Peter Pan'. They are now word perfect and looking forward to getting in to costume. Some of our year 5 and 6 pupils went to Peterborough to play cricket on Thursday. Below are some photographs of them having a wonderful time. Week commencing 9th June - Year six have frantically been preparing for their Big Bake all week. Flapjacks, cookies, fairy cakes, shortbread and many others have all been prepared for your enjoyment. We look forward to seeing you on the playground at the end of the day on Friday. 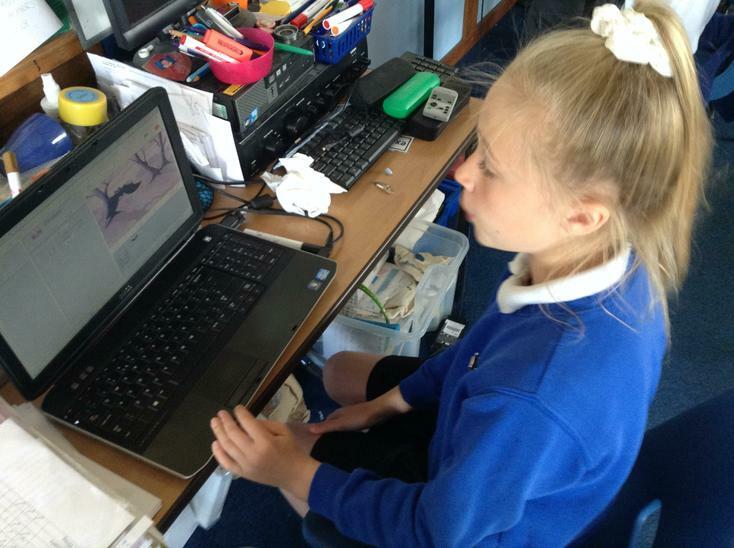 Week commencing 2nd June - We have continued to build up our portfolio of writing by adding a discussion text (on whether or not children should be allowed their mobiles at school) and a recount of our time at Winhills Primary Academy. On Friday we went to the Royal Opera House to watch three ballet performances - The Dream, Connectome and The Concert. The children thoroughly enjoyed the experience (and the ice cream!). 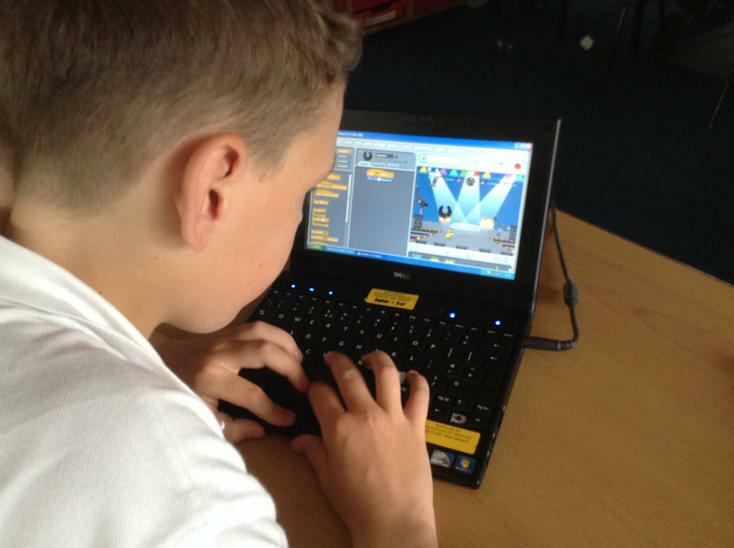 Week commencing 19th May - We've had another busy and exciting week in year 6! We have undertaken writing tasks in a variety of genres to be assessed. We also had some visitors from Ernulf Academycome to discuss moving on to secondary school and the differences between primary and secondary school. Level 6 assessments will take place for select children on Monday, Tuesday and Thursday afternoons. 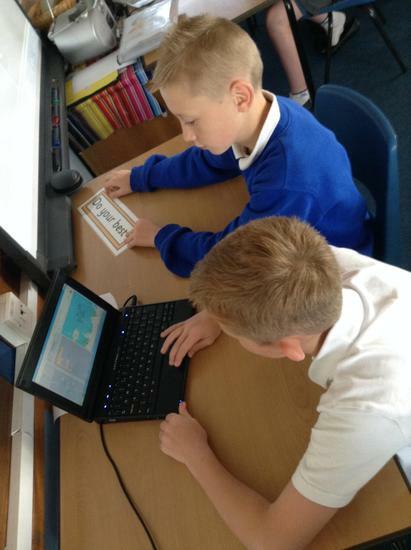 Week commencing 5th May - We are now into the last week before SATs and it is therefore vital that the children attend all the breakfast clubs and after school boosters available to them Breakfast club is from 8 a.m. until 8.45 Mon-Thurs and after school clubs are Tuesday and Thursday 3.15-4p.m. Week commencing 28th April - Welcome back! We hope you had a fantastic Easter break. Year six had a visit from Kick Ash this week to educate them on the dangers of smoking. This is now a subject they feel very strongly about. Week commencing 24th March - Year 6 have been very busy this week. They have undertaken some past SATs papers in reading and maths as further practice for their SATs in May. In literacy they have been reading poems about animal cruelty and used the style of William Blake's 'The Tyger' to write their own group poems about dancing bears. Week commencing 24th February - Welcome back! We hope you had a safe, happy and relaxing half term holiday. As we are now into the countdown to SATs year 6 are working even harder than usual. Please remember that breakfast booster club runs Monday-Thursday from 8 a.m. and there are after school boosters on Tuesday and Thursday afternoons 3.15 - 4 p.m. All year 6 children are welcome. 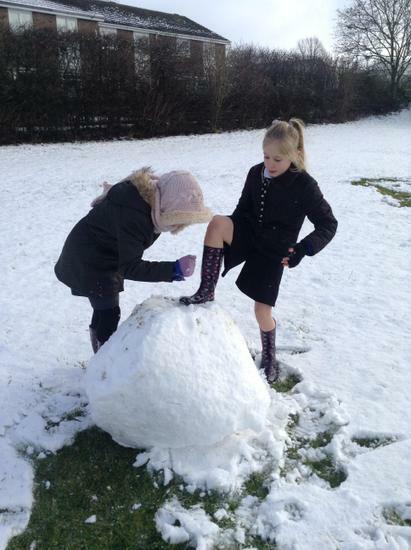 Here are some pictures of the children taking a break from their literacy and numeracy to enjoy P.E. lessons. 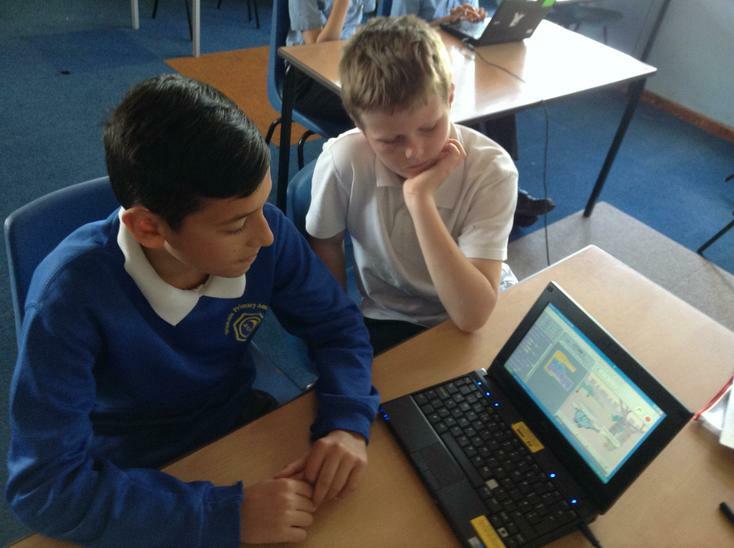 Week commencing 10th February - Year 6 have worked incredibly hard this week as it has been assessment week. Their efforts have paid off with great assessment results. Miss Rigg and Mrs. Culver are so proud of each and every child. Time for a well deserved rest - happy half term! 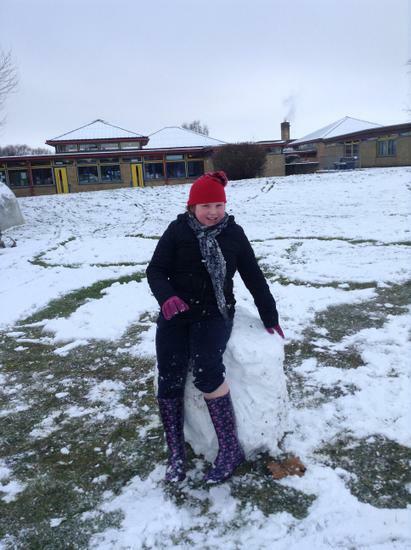 Week commencing 3rd February - Year 6 have had another busy week! They had their final session of Futsal, planned persuasive letters to Mrs. Connell, learned about translations and rotations of shapes and have been revising for assessment week next week. Week commencing 27th Jan - Year 6 joined with their peers at The Round House and Middlefield to participate in the Young Voices concert at the O2 arena. 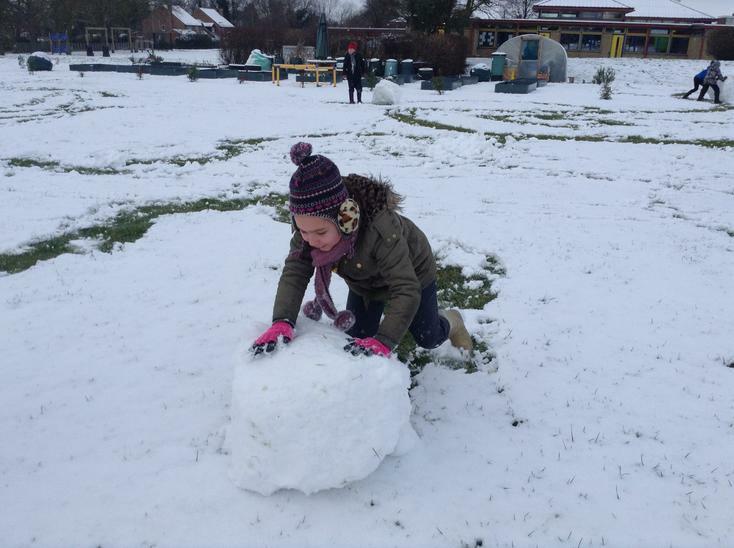 It was a fantastic experience for pupils and staff alike, and as always the children behaved superbly. Week commencing 20th Jan - Year 6 have been writing flashbacks using the pensieve from Harry Potter. They have learned to write flashbacks in the present tense and to use direct speech. 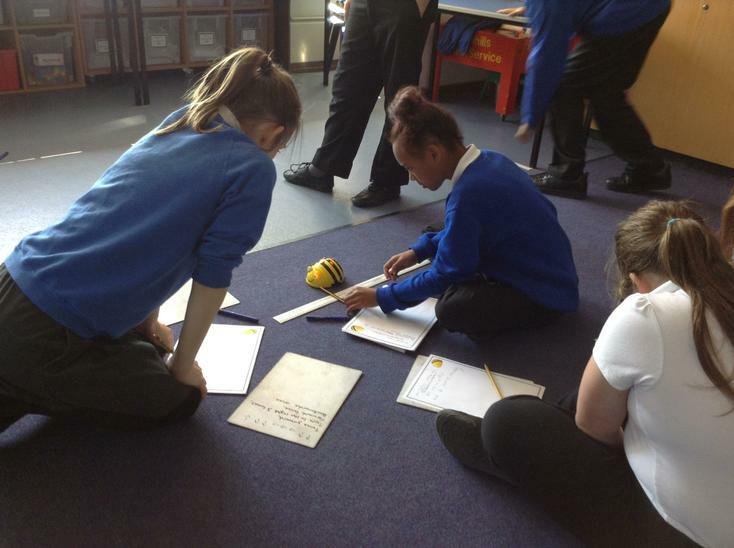 Here are some pictures of them using the class pensieve. Week commencing 6th Jan - Happy New Year!! 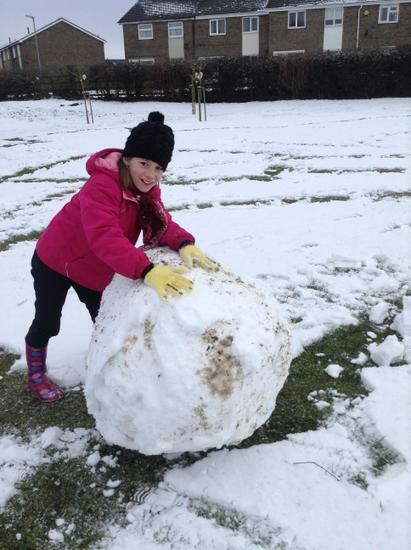 2014 is off to busy start already for year 6. In addition to working on preparation for SATs, they have had street dance, practises for Young Voices in the O2 and started Futsal training. This began with training exercises using the soles of the feet to control the ball. Week commencing 2nd Dec - We had a fabulous assembly on Monday morning, the children wished on the Christmas lights and hung their decorations on the Christmas tree. I'm sure you'll agree they look fantastic! 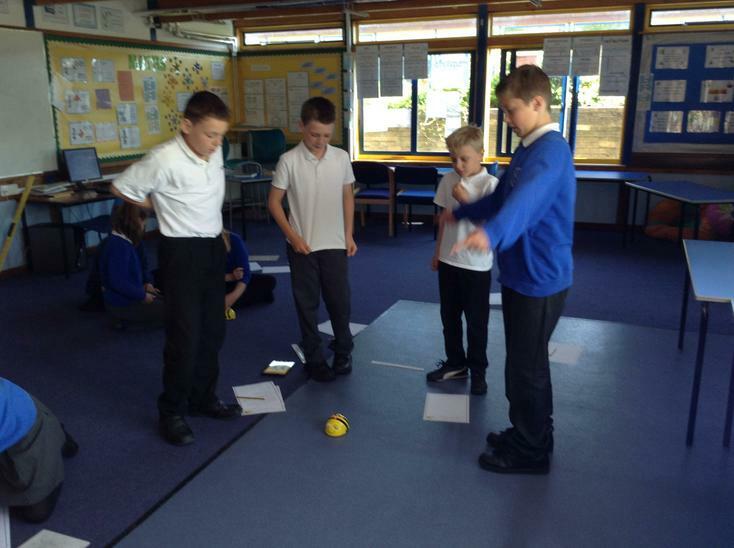 Week commencing 11th Nov - It has been assessment week for year 6 this week. 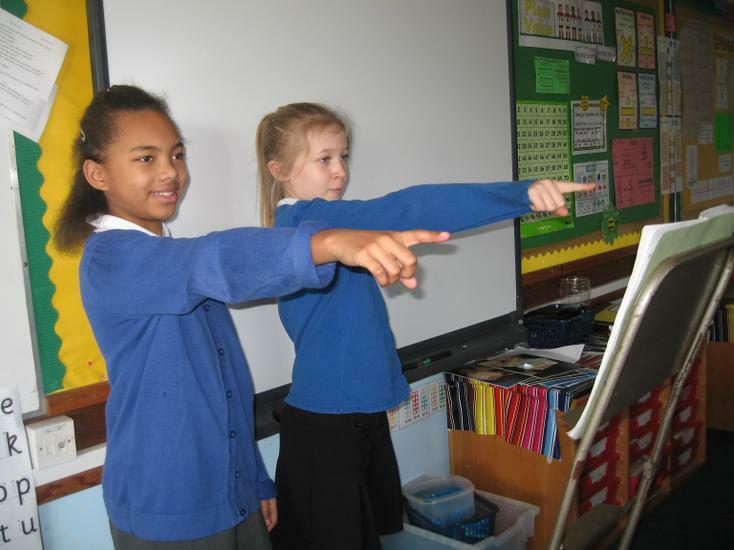 They have undertaken assessments in reading, writing, maths and science. Miss Rigg and Mrs Culver are very proud of them all. We added our coins to the school's giant Pudsey for Children in Need. Week commencing 4th Nov - We've had a fantastic start to the new half term! The children have been very busy writing the biographies of the Poppyfield residents. 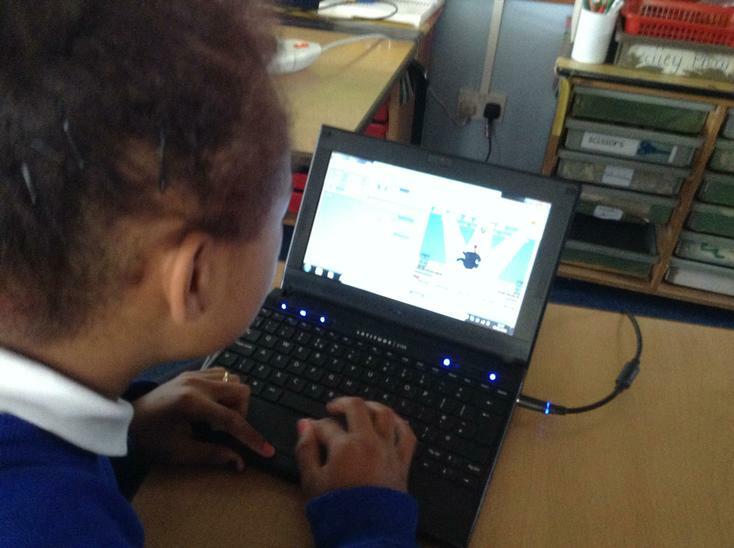 They are now word processing these ready to produce a book to present to Poppyfields. The Poppyfields residents commented on how well behaved the children were when we visited and the children asked to sing some of their Young Voices songs which was also well received. Week commencing 21st Oct - Our last week of this half term has been another busy one! The children have been planning interview questions for the residents of Poppyfields and on Friday we will interview the residents. After half term the children will use the answers to write the biographies of the residents. We had our half termly Celebration Assembly. Here is a picture of the year 6 certificate winners. Week commencing 7th Oct - What an exciting week!! We have now announced the children who will be taking on the roles of Head boy, Head girl, Deputy head boy, Deputy head girl, House captains and Vice house captains. Please see our photos. Week commencing 30.9.13 - The children visited St. Neots museum and learned about how our local area has changed over time. The children were particularly interested to learn about the famous St. Neots quads and wooly mammoths living in St. Neots! Week commencing 23.9.13 - The children visited Father Paul's church as part of our RE topic on worship. He gave us a fantastic tour and as always, the children were beautifully behaved. Please look at our photos below. We have also begun rehearsing for Young Voices in the O2 in January. A very warm welcome back to all our year 6 pupils, parents and friends! The new term is off to a fantastic start with a range of fun activities throughout Creative Weeks. The children have already been to Pocket Park to take photographs and have used these in Art to study landscapes. Along with year 4 and 5 we had a very successful International Day. The children learned about a variety of countries and used our super new kitchen to make food from each country.